Real Estate experts agree that spring is the busiest time of year for home sales, but, fall is right behind at a close second. Fall is the perfect time to put your property on the market. Inventory is low, so your competition is less, and if you price your Zionsville, IN home well, it will sell! 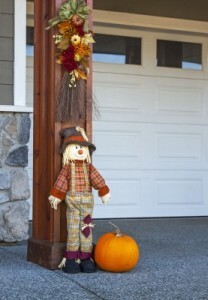 Here are some tips to have your home looking great this upcoming fall selling season. Maximize light. Open all blinds and turn on all lights for every showing. You want each room to be as bright and sunny as possible. The less-intense sunlight of fall may make it necessary to upgrade your interior lights. Even a lamp here and there can help brighten up a room. To maximize the sunlight make sure your windows are sparkling clean. Give your home a cozy smell. For many, fall conjures up memories of hayrides and Thanksgiving dinners. Make your house more “homey” with some yummy smells. Some recommend simmering some spiced cider on the stove-top or baking some fresh cookies. Pinterest.com has plenty of simmer pot recipes that are easy to pull together, you likely have most of these ingredients in your home. If you are planning to planning to sell your Zionsville, IN home this fall and want to make it as appealing as possible to potential buyers. Please contact a Zionsville, IN real estate agent if you need any assistance!